Malgasci population face a new outbreak of plague. People are scrambling to get their hands on antibiotics and face masks, with problems in the most important cities. Public events with crowd events have been canceled, as a rare pneumonic plague epidemic spreads quickly across the country. The outbreak of plague in Madagascar continues to evolve. Since our last report on 4 October 2017, a total of 230 new suspected cases including 17 deaths (case fatality rate 7.4%) were reported. Between 1 August and 8 October 2017, a total of 387 cases (suspected, probable and confirmed) including 45 deaths (case fatality rate 11.6%) have been reported from 27 out of 114 districts in the country. Of these, 277 cases (71.6%) had the pneumonic form of the disease, 106 were bubonic plague, one case was septicaemic plague, and 3 cases were unspecified. Of 279 cases reported to the Central Plague Laboratory of the Institut Pasteur of Madagascar, 38 were confirmed by polymerase chain reaction (PCR), 113 were classified as probable cases after testing positive on rapid diagnostic tests (RDT) and 123 remain suspected cases, pending results. Fourteen (64%) out of 22 regions in the country (including the North and South-east Regions that are considered non-endemic) have been affected. At least eight healthcare workers from one district health hospital have contracted plague since 30 September 2017. Plague is known to be endemic on the Plateaux of Madagascar (including Ankazobe District where the current outbreak originated) and a seasonal upsurge (predominantly the bubonic form) usually occurs early every year between September and April. 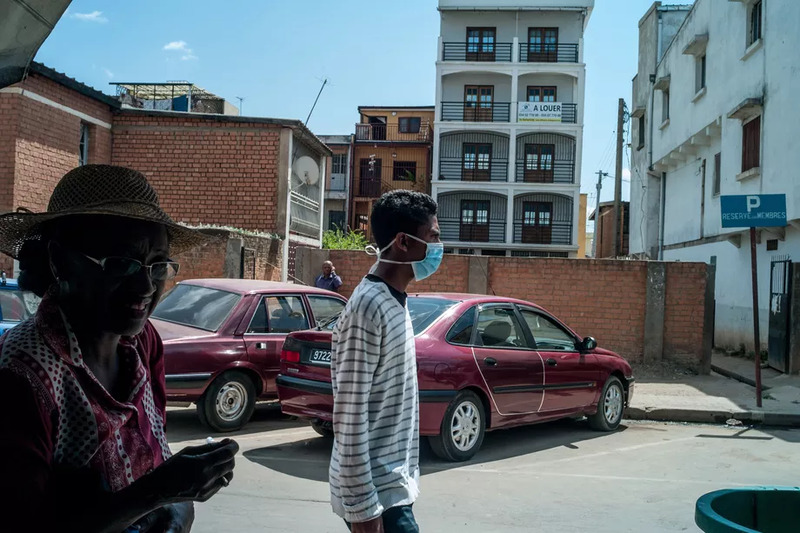 Unlike the usual endemic pattern, the plague season begun early this year, and the current outbreak has affected major urban centres, including Antananarivo (the capital city) and Toamasina (the port city).